Greensboro, North Carolina’s raging trio, IRATA, will make a triumphant return to the road this March with a run of US tour dates. IRATA will storm through the Midwestern and East Coast states on a solid eight-day tour. The trek kicks off March fourth in Columbus, then raiding Canton, Chicago, Milwaukee, Brooklyn, Philadelphia, Frederick, ending in Richmond on March 12th. With seven shows booked, the band is looking to book another show on March 8th in the coming days. 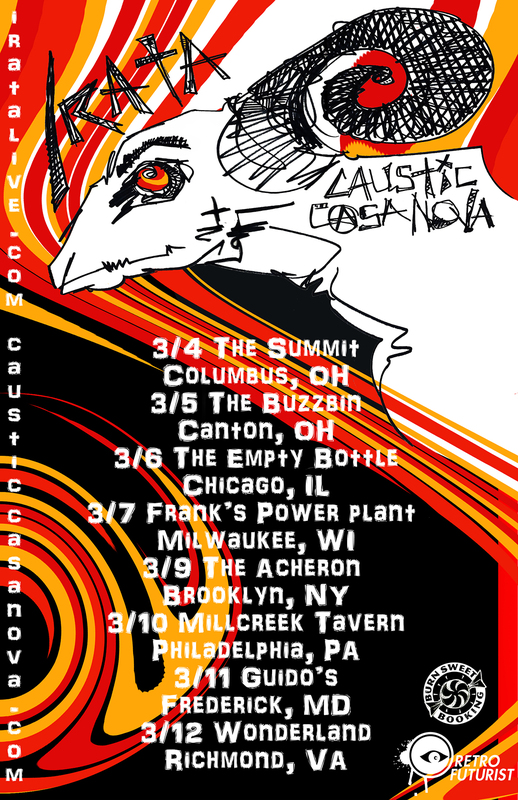 On the upcoming tour, IRATA will be joined by DC-based Caustic Casanova, labelmates of the band through Kylesa’s Retro Futurist Records, with a killer local administer of riffage on each show including Moon Tooth, Clamfight, Pillbuster, Snow Burial, Akris, Witch Fist, and more. IRATA‘s latest groove-laden album, Sweet Loris, was released on CD and digitally Kylesa’s Retro Futurist label in October 2015, the record recorded by the band at The Jam Room, produced by Phillip Cope and engineered by Cope and Zac Thomas, and completed with artwork by Santos and design by Phillip Yeary. Smashing barriers with a doomy, metallic, and soulful delivery, the record is something virtually any thrill-seeking rock can can enjoy. Caustic Casanova’s latest album Breaks was produced by J. Robbins of Jawbox and released via Retro Futurist in September 2015. 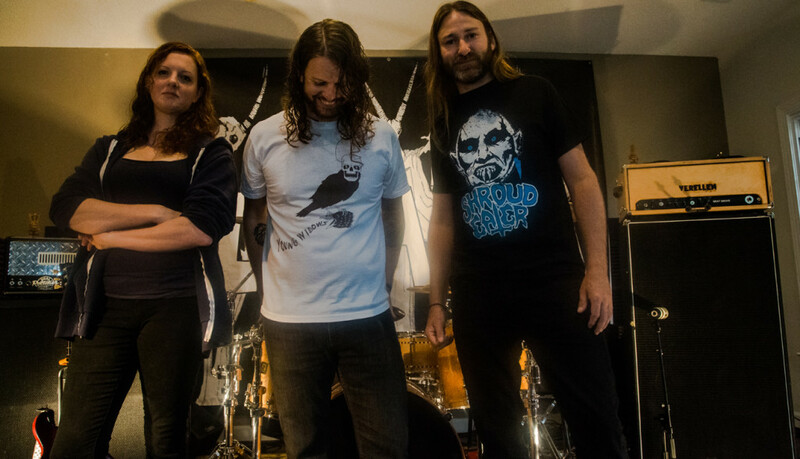 Breaks features seven unconventional and melodic heavy rock songs, none quite like the other, and covers a vast sonic territory from dark, driving post-punk to psychedelic post-metal, from heavy doom blues to epic space rock and everything in between. 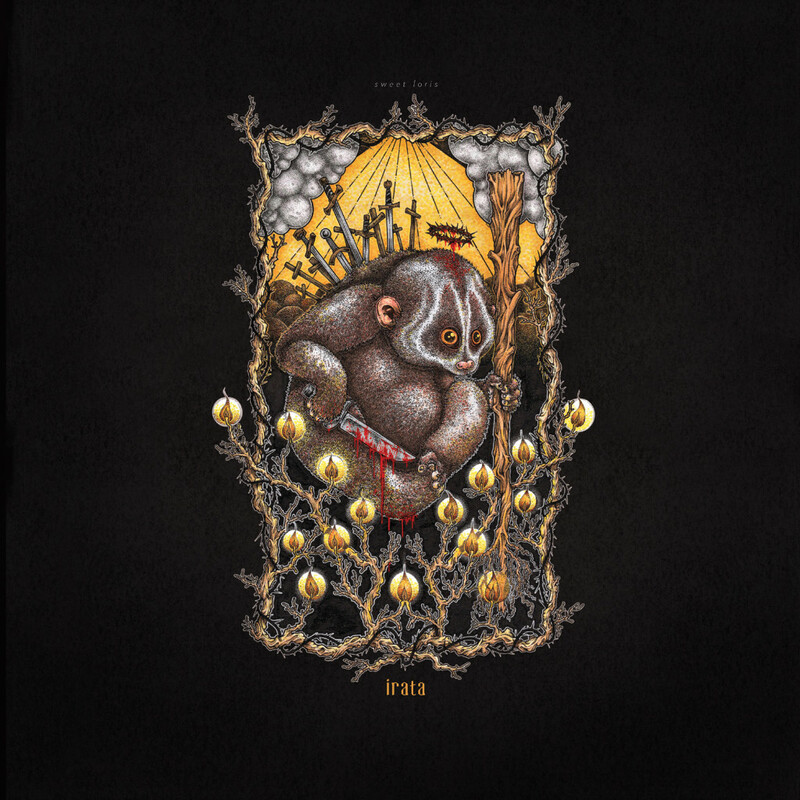 Stream IRATA’s Sweet Loris in its entirety HERE. Sweet Loris is available on CD HERE and digitally HERE. CORROSION OF CONFORMITY Announces North American Summer Headlining Tour With Crowbar + Band To Headline Psycho Las Vegas Pre-Party And More!